Q | What should the communication cadence with investors look like? Before investors ever decide to put one dollar into your business, you better believe they will have done their due diligence. Frankly, before taking an investor’s money, you should do the same due diligence on those investors. Talk to other companies they have invested in. Ask about communication cadence and specific things they will be looking for. The more you can conform your reporting to their desires, the better your relationship with the investors will be. Early-stage companies should communicate frequently (weekly or bi-monthly) because they typically have more needs and news to report. More advanced companies should communicate at least monthly, and mature companies can get away with quarterly, but no longer than that. Q | How should you communicate with investors? If your investors are added to your board of directors, and most are, you’ll need to hold formal board meetings at least quarterly (either face-to-face or video conferencing). However, as you get to know your investors, you’ll start to discover what’s really important to them. If you have multiple investors, what’s important to one is not always what’s important to the others. One may be more interested in revenue and growth, and another more interested in processes. Find out what’s important to them, and then follow a regimen of “less formal” communications. Perhaps set up a monthly 1-on-1 for coffee or lunch or a quick weekly phone call or email to give updates on what’s important to them. And be sure to include them in your regular “customer facing” communications like newsletters and service bulletins. If they don’t want them, they’ll tell you. Q | What do investors want to know beyond financial reports? In addition to the financial reports, most investors will want to know “what’s going on” in the company. Tell them about sales and marketing strategies. Talk about company culture. The reason for this is two-fold. First, you help them see beyond the financials, and it gets them involved in the broader picture of the company they have invested in. At my last company, we invited someone from my executive team to each board meeting to make a short presentation on their department. This also gives your team some great exposure and experience. Rip off the Band-Aid! Do it quickly. If you (or your team) have a solution, this is a great opportunity to demonstrate your leadership by delivering the bad news along with a solution. If it’s complicated and you want their advice on how to deal with it, set it up that way by telling them you need their advice on how to handle and resolve the issue. One thing I’ve learned is that investors are happy to give advice based on their experience. Asking for advice does not make you look weak. It actually makes you look collaborative. And, if you’ve selected the right investors, they’ll tell you what I heard on a regular basis: “Well, you’ve heard our advice, but you’re the CEO and we look forward to learning how you resolve it.” That’s a great feeling of trust. TOM BRONSON is the former CEO of Granbury Solutions, a company he recently sold as the 100th transaction of his career. 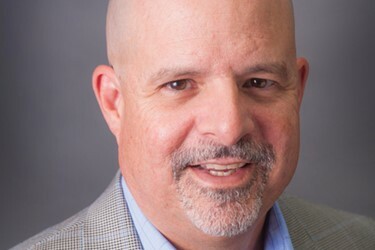 He is currently the president of Mastery Partners (www.masterypartners.com), a consulting business dedicated to helping small and middle market businesses prepare and execute exit strategies.